DPI inspectors shall observe: Interior water supply and distribution system, including: piping materials, supports, and insulation; fixtures and faucets; functional flow; leaks; and cross connections; Interior drain, waste, and vent system, including: traps; drain, waste, and vent piping; piping supports and pipe insulation; leaks; and functional drainage; Hot water systems including: water heating equipment; normal operating controls; automatic safety controls; and chimneys, flues, and vents; Fuel storage and distribution systems including: interior fuel storage equipment, supply piping, venting, and supports; leaks; and Sump pumps. DPI inspectors shall describe: Water supply and distribution piping materials; drain, waste, and vent piping materials; Water heating equipment; and Location of main water supply shutoff device. DPI inspectors shall operate all plumbing fixtures, including their faucets and all exterior faucets attached to the house, except where the flow end of the faucet is connected to an appliance. 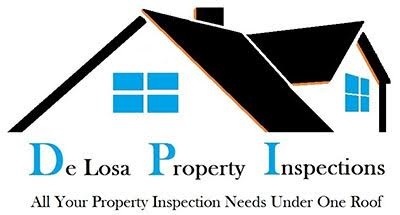 DPI inspectors are not required to: State the effectiveness of anti-siphon devices; Determine whether water supply and waste disposal systems are public or private; Operate automatic safety controls; Operate any valve except water closet flush valves, fixture faucets, and hose faucets; Observe: Water conditioning systems; Fire and lawn sprinkler systems; On-site water supply quantity and quality; On-site waste disposal systems; Foundation irrigation systems; Spas, except as to functional flow and functional drainage; Swimming pools; Solar water heating equipment; or Observe the system for proper sizing, design, or use of proper materials.